It is recommended that you have at least 4 GB of RAM. The more memory you have, the more players can be online at the same time and the larger worlds can be rendered. 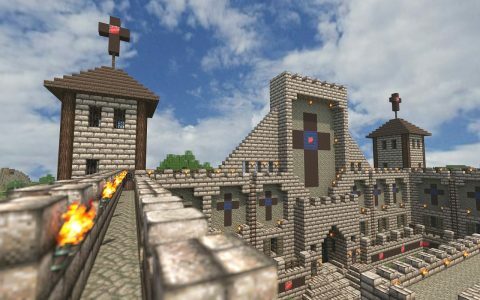 The official Minecraft server version also supports multiple processor cores. Here you can test how many players you can have on your server to match your Internet connection. The computer running the server should not run too many other programs to provide enough power for the game. In order to run a server, you have several options at your disposal. 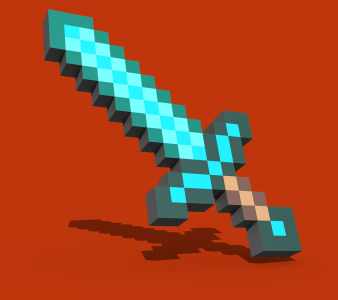 It is recommended to always equip the server with the current Minecraft version, as most players use the current Minecraft PC version. If the server does not match the player’s version, either an „Outdatet Client“ (the player has an older version than the server) or an „Outdatet Server“ error message will appear (the server has an older version than the player). The official Mojang server software can be found here. A corresponding manual for all three operating systems can be found here. A description of the server console of Mojang can be found here. Meanwhile a large number of server software exists, which was not developed by Mojang. This often offers the advantage that plugins (comparable to mods for the PC) can be integrated into the game. The variety of these plugins enables an extended gaming experience. A list of this additional software can be found here. Here is a list of some server types. It should show what you can do on a single server. Of course, there are also servers that contain several of the types listed below. Survival: Standard server (in survival mode) with regular maps, allows the player to build or destroy what they want. Often griefing is not allowed. Creative server: Players can build and destroy what they want, but the focus is more on creating objects. These servers often try to simulate settlements in a foreign country or the like, and require the collection of resources to build buildings. PvP: On a PvP server, players fight against other players (player versus player). Stealing items is often allowed. Some servers do not offer PvP. PvP mini-games: Most servers offer PvP mini-games. The best known modes are Hungergames, Spleef, Survivalgames, Skywars and UHC (Ultrahardcore). Clan-PvP: Some servers have a plugin with which you can create clans. Players can join the clans. Most of the time these clans fight each other and have a base and their own land. Extreme PvP: There is typically no wilderness on Prison servers and players must earn money to progress on the server. There are servers that allow players freedom when they have reached a certain rank in Prison. On other servers the player can flee and thereby free himself. On some of these servers PvP is allowed. On Vanilla servers there is only the normal player and operator. Operators have all rights, while the normal player has assigned commands etc.. Guest: Guests are players who only look but cannot change anything. This prevents deliberate destruction. By accepting the respective, individual server rules one becomes from a guest to a player. You cannot change the world on mini-game servers, so the guest rank is normally not necessary there. Buyable ranks: Most servers have an online shop where you can buy ranks for money. In order to be compliant with the guidelines for commercial use, a buyable rank may only bring cosmetic benefits on the respective server. This means that „paying to win“ is illegal. Server Team: Some ranks belong to the server team, others are not part of the server team. The server team consists of the owner of the server, who finances it and assumes legal responsibility, and its employees, who manage and expand the server on its behalf. Members of the server team can make server-changing decisions or decisions about player exclusion. Once a server is installed, it must be configured by an operator. This includes setting the Server.properties (see there), the basic settings of a server. These define, for example, which game mode is used or on which IP the server is operated. For users of third-party server software providers, it is often necessary to install plug-ins. These are only optional, but allow for greater gaming fun. You can inform yourself on the official homepages of the developers. Chunk by the way: Every chunk is only converted when it is entered by a player and loaded with it. Completely first: All chunks of the world are converted before starting the server. The server is started with the addition –forceUpgrade. This cannot be undone, so you should make a backup copy of the world first. A list of German speaking servers can be found at Minecraft-Server.eu. More serverlists can be found at Serverlist. Installing a Minecraft server is not difficult, but you can set up a public access on your computer, which needs to be secured. If you don’t want to deal with this and with the administration and maintenance of a server, you can also rent a Minecraft server. 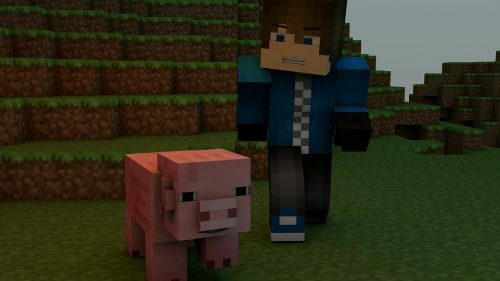 You will find many providers on the Internet if you are looking for „rent a Minecraft server“ or „rent a Minecraft gameserver“. The offers usually go beyond pure server access and also include regular backups of the world, an online map of the world, installing new Minecraft updates and above all: many useful plugins and popular mods that you don’t have to worry about installing. 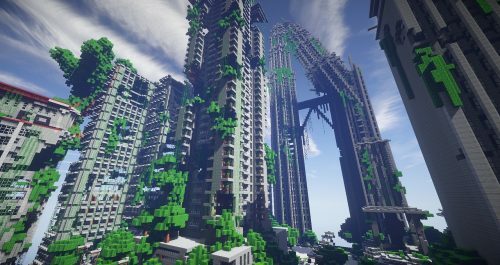 After registering with the landlord and paying a fee, you get access to a server address with a freshly generated Minecraft world. The fee depends on the rental period (e.g. three months) and the number of players who can play on the server at the same time. As a tenant you have administrator rights in the server world and can use the corresponding commands. To join a server running on your own computer, click on Multiplayer in the menu and wait until the server is automatically detected in the local network. Alternatively, you can also enter localhost (only on the computer running the server) or 127.0.0.1 as IP address. To join a server running on a computer in the local network (LAN), wait until it is automatically found or enter the network address of the corresponding computer. To join a server running anywhere in the world, you must enter the external IP address of that computer.